A while back I wrote an article about how The Secret of Kells told a medieval Irish story through the idiom of medieval Irish artwork, and how this acts as much more than an aesthetic exercise.Unfortunately, we haven’t seen much of that sort of historicized film-making in animation since then. Cartoon Saloon’s follow-ups Song of the Sea and The Breadwinner do not reconstruct their worlds in this way; the only other example I can think of in the years since is Studio Ghibli’s The Tale of the Princess Kaguya. Kaguya is in many ways even more impressive – Isao Takahata putting in a stupid amount of work to give the film the character of a traditional Japanese brushwork brought to life. And, see, I get it: approaching historical and cultural material this way requires a whole lot of careful attention to detail, especially because you’re tapping into a visual language that by necessity you need to teach your audience as you go along since its outside their lived experience. It is not easy to pull off and I’m sure there are examples I haven’t seen because they never gained the attention that would ensure I’d hear about them, or failed to connect to their source material. I pop on over to Marie’s Iatropexy podcast to talk about the time in the 1980s/1990s when people in North America thought a Devil-worshipping cult was stealing children. This was recorded before I bought a new microphone, and my old one was on its last dying legs. You can tell. 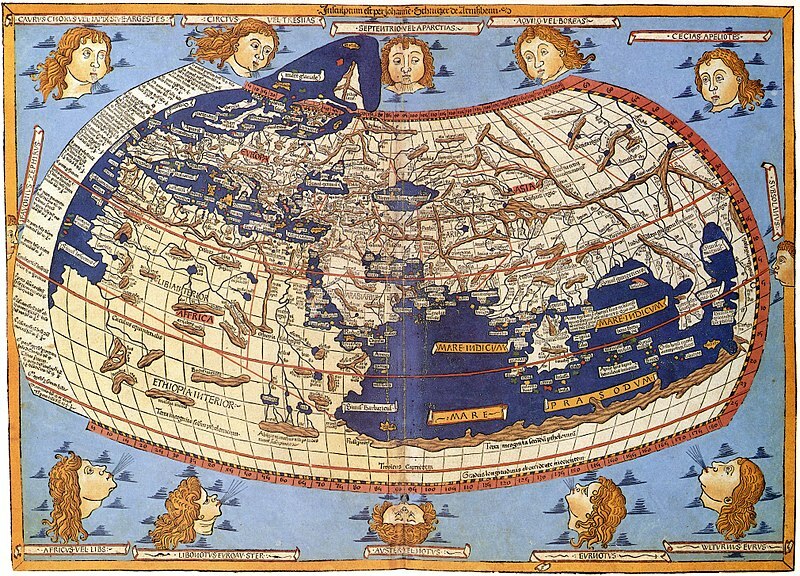 Ptolemy’s map of the world. Sort of. I used to wonder why books lightly touching on the history of cartography often resort to using the above image as “Ptolemy’s map of the world.” Claudius Ptolemy lived during the second century AD; the map that demonstrates his work obviously comes from the Renaissance (1482, to be exact). 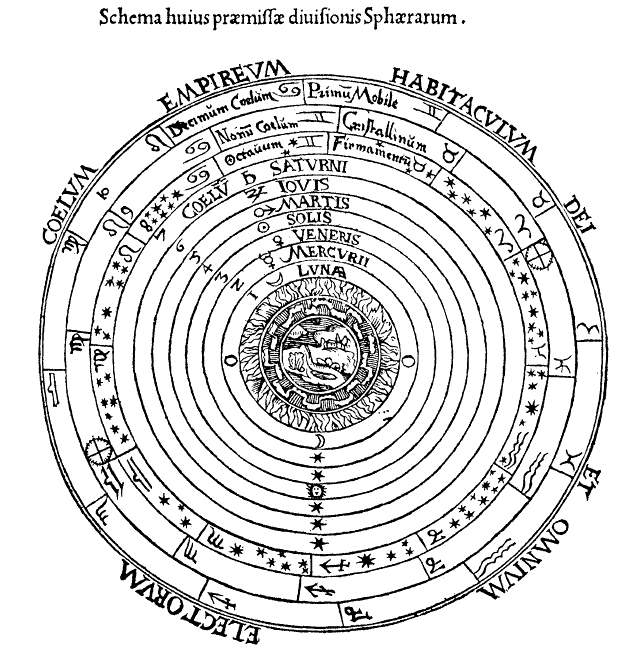 Surely reproductions existed from manuscripts closer to Ptolemy’s time? Most reference works I came across, like encyclopaedias and high school textbooks, don’t explain the stylistic mismatch or even credit the source of the image at all. I had a short-term roommate in grad school who tried, via oblique and sundry ways, to determine around which time in the year I was born. I thought this odd (why be so round about asking?) until I overheard her chatting on her cell phone about how she just could not stand Scorpios. Step back again to undergrad. This time, an ill-considered “wine party” that I should never have attended. At one point the host passed around a book of modernist poetry for us to read aloud, which should have been about the time I should have elected to leave. Anyhow, one of the guests (attending university, studying literature or philosophy or something of that sort) started explaining, with real conviction, how the cosmic rays from the stars can influence us, asking others about their place in the zodiac. And then there’s my grandmother on my father’s side, who is otherwise a devout secularist and believer in science and nonetheless also believes in ghosts, folk magic and astrology. There is some basic human connection on the story and language level towards the night sky as an indicator and influencer of life on Earth. Babylonian and Egyptian astrologers were meticulous in their observations, though the form of ancient astrology was far removed from today’s New Age mysticism. There are tablets and papyri exhaustively linking heavenly events to earthly phenomena on a wide rather than personal scale–and they are records of unusual and oftentimes impossible astral events and their meanings. The heavens provided prognosis for famine, catastrophe, and the like, but not whether you’d meet a tall stranger this week. 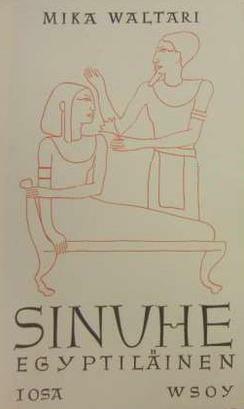 For a long time I was only familiar with The Story of Sinuhe from Mika Waltari’s historical novel The Egyptian (1945), which I read when I was 12 years old. Having now read the source material, the strangest part is that The Egyptian is historical fiction based on historical fiction. Like The Report of Wen-Amon, the events in The Story of Sinuhe are at least fictionalized if not outright imaginary. The supposed autobiographical account takes place in the early 20th century BCE, the earliest manuscript dates from about two hundred years later. Taking that as somewhere near the date of composition, it’s like a novelist today writing a story set in the Victorian era. Judging from the various copies floating around, it was extremely popular, an ancient Egyptian bestseller.